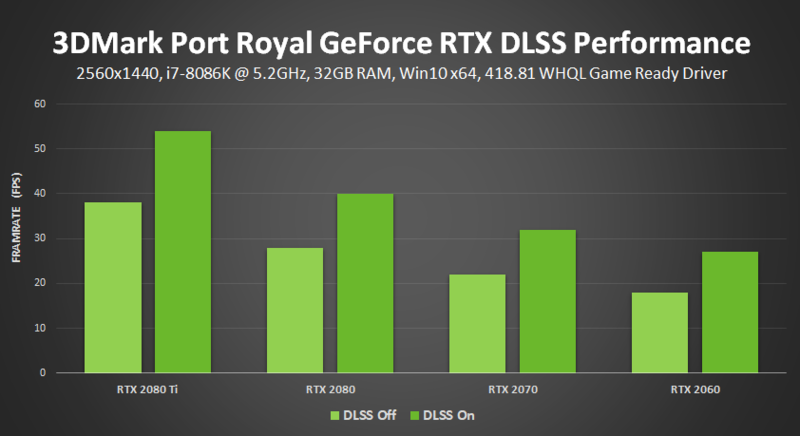 DLSS doesn't have to use a lower resolution, Nvidia could simply train a neural network to do great AA. When we first heard about it this is what it sounded like. Lower resolution is faster but I bet a neural network could offer great AA quality faster than 4xSSAA working with the full resolution. The variety of frames is still really low compared to a game due to the fixed nature of the benchmark, but it is more a best case for DLSS rather than completely cheating.